Would you mind opening you to an opportunity of purchasing an iconic brand in Canada and one that is recognized as one of the best managed firms in the country for 10 straight years? Yes, you have read it right. 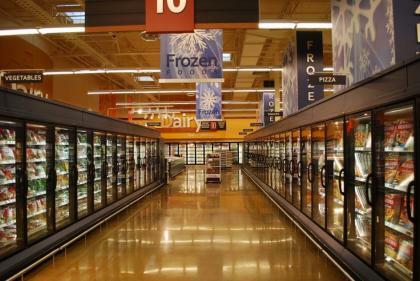 This retail chain offering fine frozen foods is considered as the largest in the country. It highlights convenient and diverse restaurant-quality food products in almost all food categories. This income-generating business is a retail chain you would be interested to purchase as we have stood the test of time since 1998. With these years in this industry, we are proud to consider ourselves experts in food options. We have been serving food products in the area with utmost quality and care to our customers. This property, which is located at Deer Valley Shopping Centre in Calgary, Alberta, is available for lease and franchise resale. The lease term is inclusive of anything and the franchise term is for 10 years with an option for renewal. We will discuss further when you set a schedule with us. Anyone can manage this business so long as you have the knowledge on food service management and customer service. The business is being sold with an aim to open the business to the qualified applicant to match this business opportunity. Here, we are proud for the continuous success of the chain in the food industry. We are giving you assurance of any possibility for additional services to keep you from worries of buying a none-profitable property. Everything will be provided including the support, classroom training for 2 weeks, in-store training for 7 days and follow-up on-site following the transfer date for 7 day. Take note that an expert in business consulting and other related matters will conduct the training. Any issues or concerns related to the operation of this business or anything applicable to it may also be raised. When it comes to trading, you will have the best experience in working during office hours with minimal task. Competition in this type of business might be very hectic, but rest assured that you are just on the right tract because we are already at the edge in the country’s retail chain industry. Once you have decided to join the growing industry of retail stores, you will be entitled with very low overhead, exclusive rights throughout Calgary and to the areas surrounding it. The best benefit here is that you will only operate the chain in the normal office hours. If you are interested in buying this property, our sales staff, top management and existing employees will be happy to work with you. You can always count on us as we do care about your success in this business. Let us know when you want more information about this business so we could arrange an appointment with you at your most convenient time and discuss matters further. Own a retail chain now and start doing business as no one does in this continuously growing industry. We guarantee the possibility of adding more food options and services right from this chain. There are currently unidentified employed workers who are willing to stay with the new owner. We have been operating in Calgary for 10 years. We offer support, classroom training for 2 weeks, in-store training for 7 days and follow-up on-site following the transfer date for 7 day. The value of our stock or inventory will be disclosed after the sale.